There is always a requirement for a new pair of Wireless Sports earphones for #workoutholics. They never tend to get satisfied with the pair of headphones they use while working out. Moreover due to sweat, wear & tear, the life of Sports Earphones is usually small. 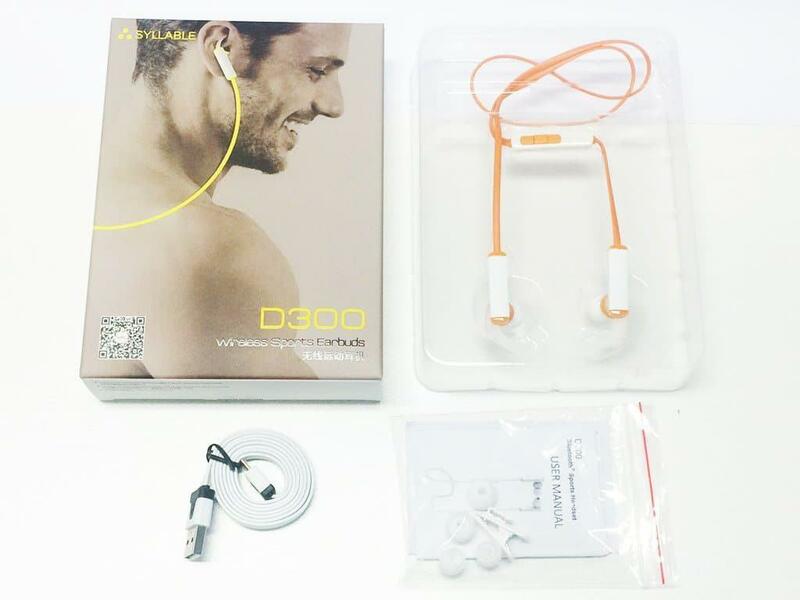 Keeping the budget in control, there is a great Wireless Sports Earphone available, Syllable D300 Wireless Bluetooth Sports Headphone. I have been using Syllable D300 Wireless Bluetooth Sports Headphone for over a month now. During my daily workout routine of 1 hour, these pair of headphones do perform well, better than expected. There was a time when we used to carry long wired headphones while going to gym or outdoor activities. The tangled wires used to create a mess while running, cycling or any other form of exercise. With rise in technology, we do have multiple options of going wireless while working out, but Syllable D300 with minimalistic wires is indeed one of the best options. Read on to know why! Inside the box of Syllable D300 you get a Tangle Free Flat USB charging cable, 2 extra piece of earbuds, a clip for the earphone and User Manual. I wish there was an adapter in the box, to charge the cable, but there isn’t. 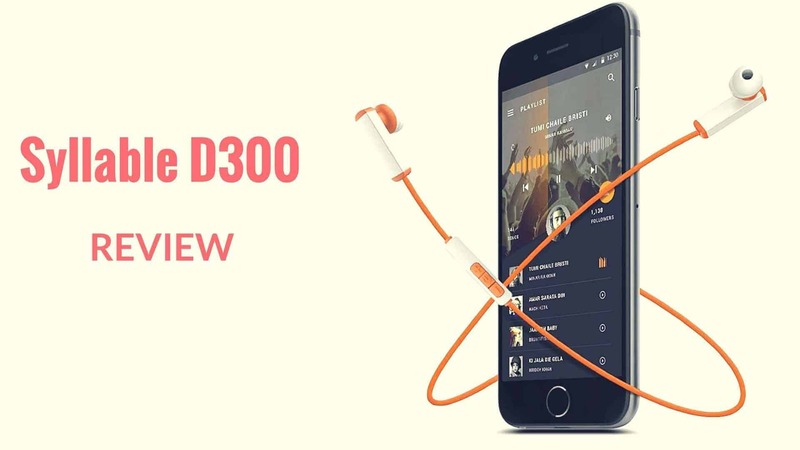 The Syllable D300 Wireless Bluetooth Sports Earphone has an angular audio Jack which we actually find convenient, since most of these inexpensive in-ear earphones tend to fall out of the ears, even after carrying in-ear design. 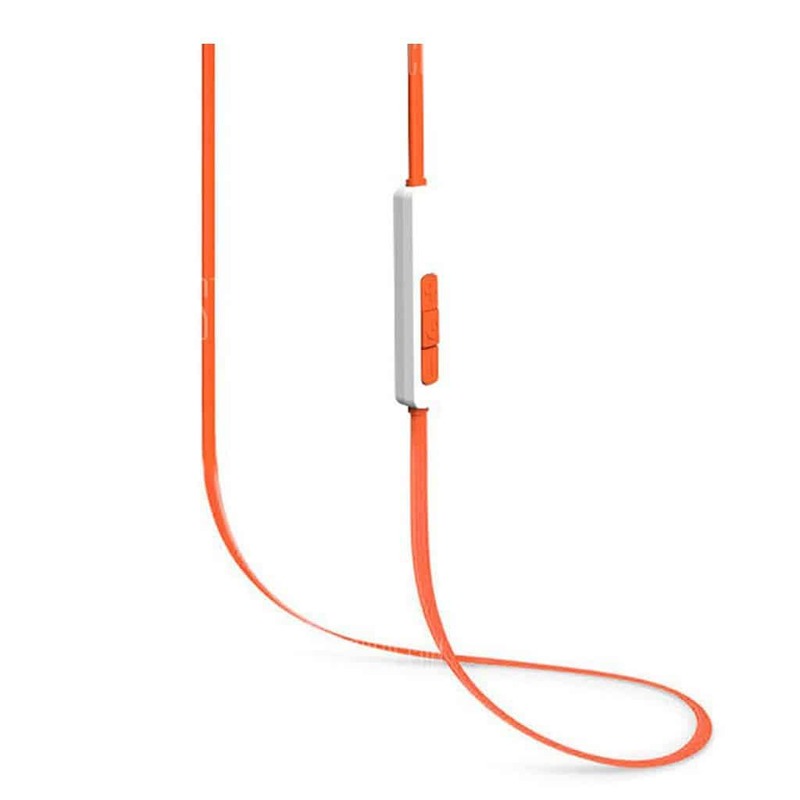 The earpiece is sturdy and it feels strong enough to last long. The curved rubbers above earpieces acts like tentacles & helps to hold the earphone inside the ear even while running or doing cardio. It simply doesn’t fall off your ears. The small tangle free flat wire looks neat and fits around the back of the neck without any issues. 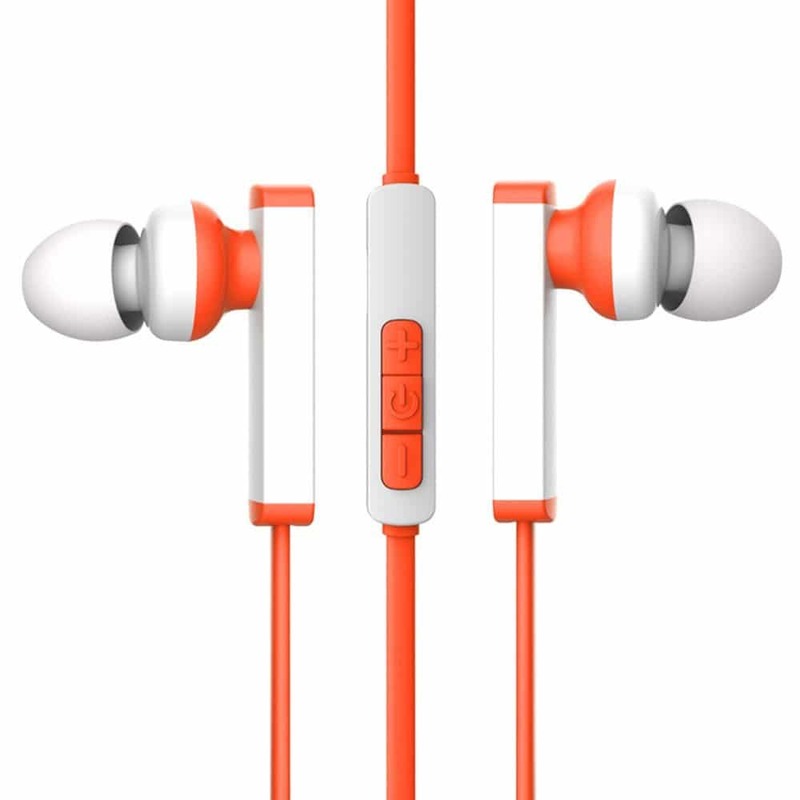 The earbuds are made of silicon instead of the fancier memory foam tips, but then it is impractical to expect more than this in the cost we are paying for these earphones. The controller in the Syllable D300 Wireless Bluetooth Sports Headphone is towards the right side of the earphone and consists of USB charging port, Microphone, Power Button/pairing Button and Volume Rockers. The quality of the controller and the buttons is a bit disappointing. Keep pressing the MF button to power-on the earphone. Continue pressing the MF button until the blue and red color indicators start flashing alternatively. The earphone is ready to be paired then. You get 120 secs to pair the earphone with your device, post which, you need to re-start and follow the same process again. To power it off, keep pressing the MF button until the RED color indicator comes and goes out. Coming to performance, the Syllable D300 Wireless Bluetooth Sports Headphone is less likely to disappoint you. The sound quality is good with good bass and treble. The headphone is loud enough to cancel out the noise. While in the gym I tried using this earphone with few different players like PowerAmp, Google Play Music, Stock Music App (in OnePlus 3). Different players gave different kind of quality in terms of BASS and Voice Clarity. With some teaks of the equalizer in PowerAmp, the bass quality was enhanced. The highest volume of the earphone sometime makes it too loud for few songs. I tried different genres with this earphone, undoubtedly I loved the Punjabi tracks the most due to high pitch in the songs. With YouTybe, MxPlayer or Stock Android Video Player, the volume was not upto the mark. Also, while on lower volume, the earphone does allow the weird noise caused by the friction of the wire with your neck, if the neck is moving while working out. To switch the tracks you will need to press the Volume Rocker keys (+) for next track and (-) for the previous song. Long press the volume rockers for increasing or lowering down the volume. Regarding calls, the calls answering, you can answer the calls using the MF button. The call reception is surprisingly very good. While my Plantronics attract a lot of background noise while running or riding my bike, Syllable D300 performed very well. The person on the other end of the call had no complains with my voice or background noise even when I was riding with the speed of over 50kmps. Easier to redial the last call by double pressing the MF button. While working out I noticed that if I am doing crunches on the floor and if my phone is kept at a distance of 4 feet and at a height of 3-5 feet from the ground, I start facing random disconnection issues. The sounds starts breaking until I bring my device nearer to the ground. This was disappointing for me. Regarding battery, it takes about 2-2.5 hours to charge the earphone from 0-100%. The backup lasts for about 4 days for me which is practically 5 hours of usage time and around 7 hours of standby time. You need an adapter of 5V 1A to charge the D300 earphone. I am yet to test it with my television. As I said in the starting lines, the quality of the product is good considering the price. Not the greatest sounding headphones out there under $30, but the sound is indeed acceptable for price-point. 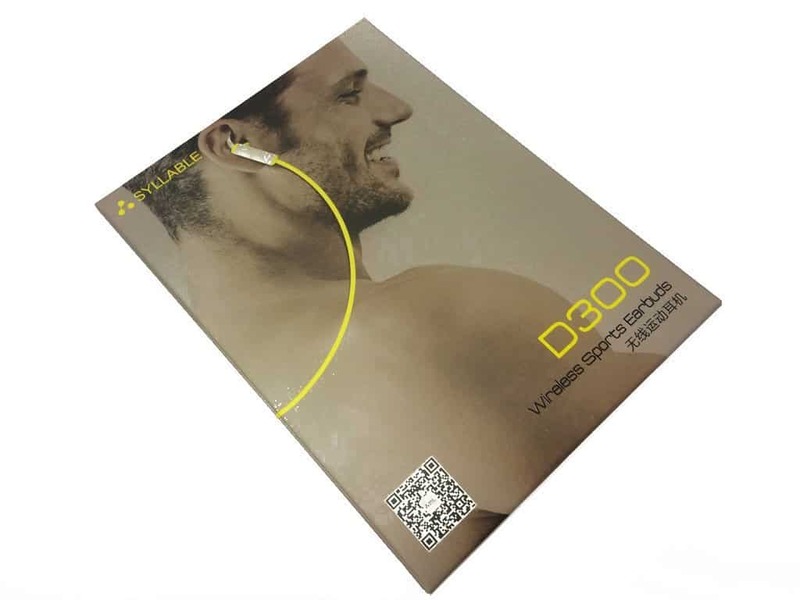 If you are looking for a less expensive Sports Wireless Bluetooth Earphone with good sound quality and backup, Syllable D300 Wireless Bluetooth Sports Headphone is for you.